Life with Liv: Christmas gifts for the home. For those of you still shopping, I hope my gift ideas for the home help! Working from a powerful, 750 watt motor with 5 speed settings and a turbo button, this Savisto 3 in 1 Hand Blender would be perfect for any budding chef or new home this Christmas. 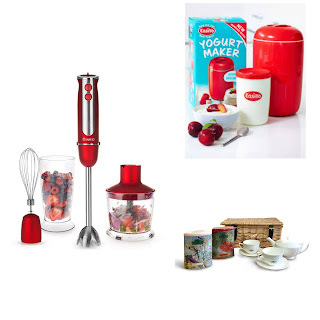 Complete with a stainless steel blender, food processor, whisk and an 800ml beaker for use with the blender and whisk, it is practical, functional and stylish too. Winchester loose tea, party hamper. This Winchester loose tea party hamper comes beautifully presented in a lovely wicker hamper. Once opened you will find a delicate White Teapot, 2 White tea Cups and Saucers, 100g Fine Tea Collection English Breakfast leaves, and 100g Fine Tea Collection Orange Blossom leaves. This would make a lovely gift for those that are difficult to buy for! Priced at £25 from Ahmad Tea. EasiYo’s new bright and bold Red Yogurt Maker is the perfect way to make delicious, fresh yogurt in your own home for all the family to enjoy. The new maker – featuring the first redesign in it's 23 year history – is sleek and stylish, yet simple. Purposely made easy to use without any moving parts or electronics to break, it’s also easy to clean, features an easy grip handle and non-slip feet and is the perfect size to pop up on a kitchen shelf. The main feature of the redesign was to replace the old polystyrene insulation with a new layer containing New Zealand wool - which helps to keep the yogurt at the right temperature during the fermentation process. With a huge range of flavours available for the EasiYo yoghurt maker, which will you choose? The favourite in our house is Greek style with honey - yummy! If you know someone who has just moved into their first home or are updating, check out Aldi's special buys for inspiration. 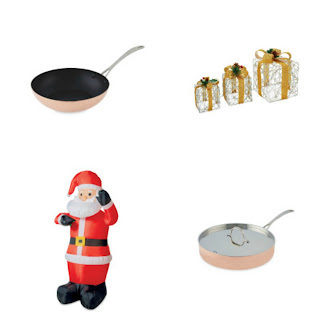 We have recently upgraded all of our old discoloured pans with these beautiful copper ones from Aldi. Prices start at £19.99 for the smallest milk pan and I can tell you they are worth every penny! My favourite is the Sautee pan with lid, priced at £34.99. It cooks everything evenly and quickly while the lid prevents splashes too. We have also got a lot of decorations for Aldi this year, including new tree lights, icicle garden lights and my two favourite - Gold/red/silver ribbon light up parcels priced at £14.99, all colours are gorgeous. Also Livs favourite- a 6 foot inflatable Santa for the back garden! He adds a lovely festive feel to the garden and brings Liv pure joy every time she looks out of the window. As always brilliant products at the lowest prices. Thank you Aldi! Now on to the food and drink! Here are some of the firm favourites in our house. We always have a bottle of Tia Maria at Christmas, this year the bottle has been redesigned with a sleek contemporary twist. Whether you just drink it with coke like me or are more adventurous making the likes of espresso Martinis, if you like coffee you will love Tia Maria! 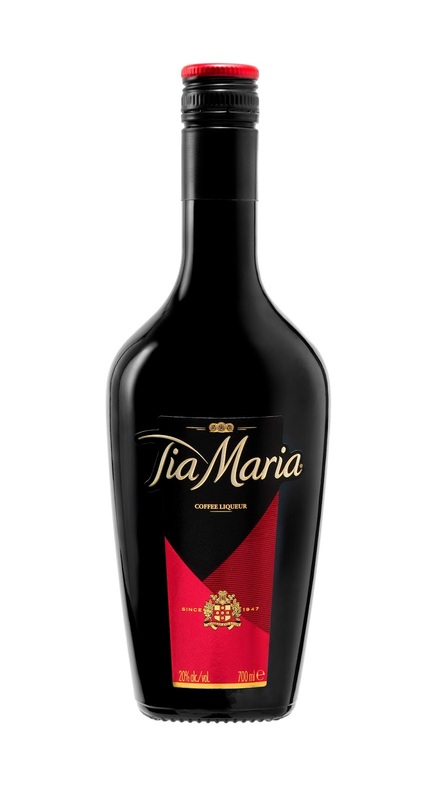 With it's exotic infusion of natural vanilla, the finest fresh Arabica coffee beans all complemented with a touch of Jamaican rum, no other liqueur can make a coffee cocktail quite like Tia Maria. If you are expecting guests that don't drink spirits, I recommend trying Crabbie’s alcoholic ginger beer. 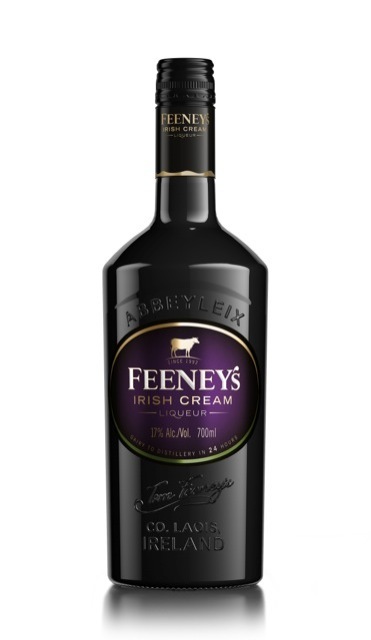 It is a delicious and refreshing drink which can be diluted with lemonade or makes fantastic cocktails. Available in original ginger as well as fruity versions like raspberry and strawberry and lime, something a little softer is always welcome over the festive period! Priced from £1.79 at good retailers. Go back in time and reminisce for just £5 a tin! I can't wait to open ours and introduce Liv to some classics. 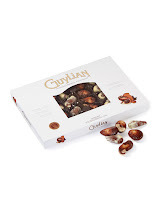 These Guylian seashells remind me of many Christmas's as a Child. 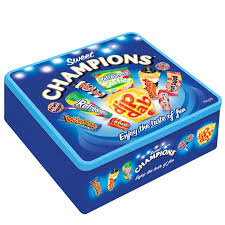 Every year I bought a box of these for my Mum then my Brother and I ate most of them! 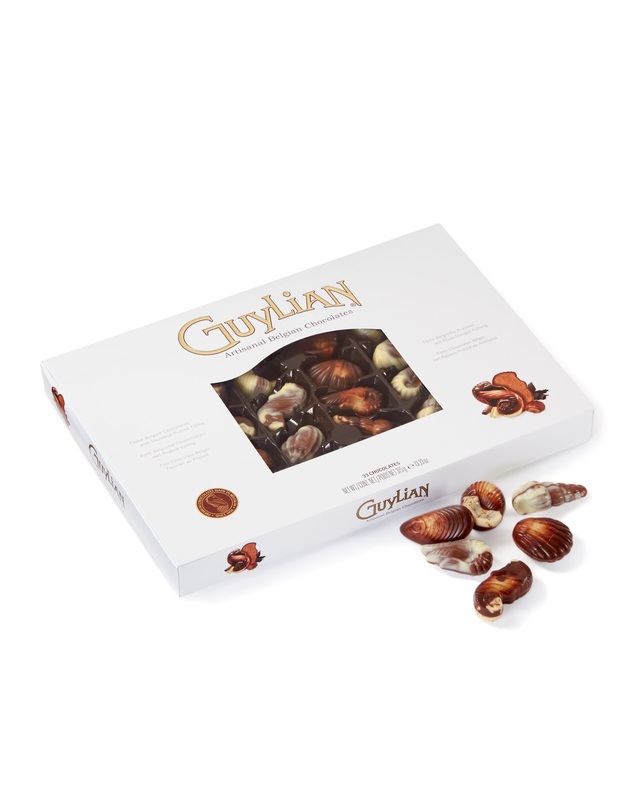 Not only are these praline filled Belgian seashells delicious, but every box bought helps support Project seashore - an international marine conservation organisation. 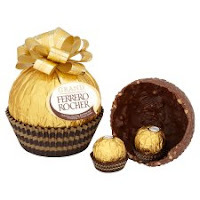 Priced around £5 a box they are far from expensive but are absolutely delicious. 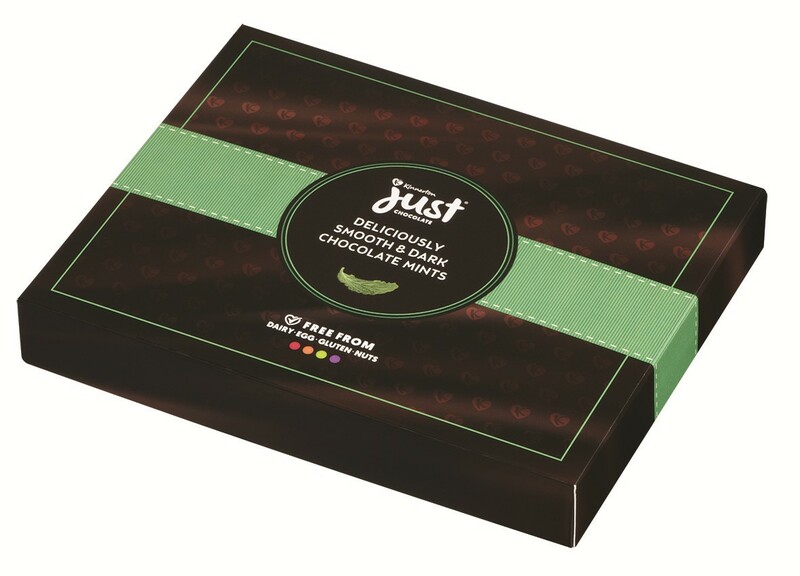 These dark chocolate mints contains exclusively natural flavourings. Ideal for people with allergies, vegetarians or vegans as they are free from dairy, egg, gluten, nuts, peanuts and tree nuts. Kinnerton understand how important it is to make their "Just Chocolate" items free from dairy, egg, gluten, and nuts so that it can be enjoyed by almost everyone. Perfect for adults, children and chocolate lovers with allergies or dietary requirements, it also tastes absolutely delicious too! Priced at £4 a box from Asda. Be ready with a sweet treat for everyone this year. Which is your favourite Christmas advert this year? We absolutely LOVE the Vision Direct offering this year starring the utterly adorable Gizmo the pug! Basically Gizmo the pug and his neighbour - Cuddles the cat - are battling it our for the most festive house. They continually fight to outdo each other on everything from the tree to garden decorations throughout the short advert, which of course appears to end badly for one of them, but which one?! Watch it below to find out. The facial expressions on Gizmo and Cuddles are what makes this advert for me, I was giggling straight away at their adorable little faces and Liv becomes hysterical with laughter when she watches it - definitely much loved in our house! Let me know what you think when you watch it. For competitions, games and a festive countdown advent calendar, pop on over to Vision Direct - Gizmo saves Christmas.